Did you know that working with a real estate agent comes at no cost to you when buying a home? Buyers can tackle the transaction on their own, by when you have access to the wealth of information and experience a good real estate agent has—for free—why would you? An agent can help you with every step of the process, from scouring the market in search of the perfect property to negotiating with the seller and monitoring the paperwork, they do it all. Do I Need a REALTOR® When Buying A Home? What's the benefit to having my own Buyers Agent vs. working with a Listing Agent? Does it cost me anything to have a Buyers Agent? How should I select my real estate agent and/or team? How many agents should I interview? Working with a REALTOR® is not required by law in order to purchase property, however, it is a very good idea. For many people, purchasing a house is one of the largest investments and financial transactions they will make in their lifetime. Considering the magnitude of the decision and how many different parts are involved in the process seeking the expert advice of a REALTOR® will provide many benefits during the process. What's the difference between a REALTOR® and a real estate agent? Aren't they the same thing? Anyone who earns their real estate license can be a real estate agent. REALTORS® are agents who become members of the Canadian Real Estate Association (CREA), and therefor uphold the very strict standards of the association and their code of ethics. Yes. You can buy a home without using a real estate agent, however, a real estate agent will be able to provide expert advice on a property and protect your best interests during the entire process. Real estate agents also give you direct access to a wealth of information and knowledge about properties in the Okanagan that you can't quite glean from a Google search. For most, purchasing a property is the largest investment one will make so it’s risky business to attempt on your own. With all the moving pieces and parts that go into a real estate transaction and legal contract, there is huge opportunity for error that can result in a financial and emotional loss. An analogy we like to use is this: heading into a real estate transaction/negotiation against a REALTOR® without a REALTOR® is like going to court against a lawyer without a lawyer. Sure it can be done, but think about what the possible outcome might be. "A real estate agent will have their finger on the pulse when it comes to the current market and available inventory. Agents have access to properties prior to hitting the market and may also have access to properties not listed for sale. By searching on your own, there is a good possibility you may be missing out on “the one”. " 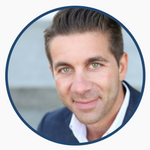 -AJ Hazzi, Realtor & Founder of Vantage West Realty. Meet our buying specialists now! There are many benefits to working with a Buyers Agent vs. a Listing Agent. Under a designated agency, real estate agents have a fiduciary and legal duty to act and work in their client’s best interest. Having a buyers agent to represent you will ensure that your best interests are protected and put first at all times, all information you share with your agent will be kept confidential, and a buyers agent will discover and disclose all relevant information about a property you are considering buying. On top of this, a buyers agent will negotiate you the best possible terms and conditions on your offer. Keep in mind that a listing agent has first agreed to represent the seller’s best interests - do you think they can represent yours at the same time? In typical real estate transactions, the seller pays all compensation to the buying and listing real estate agents from the proceeds of the sale. 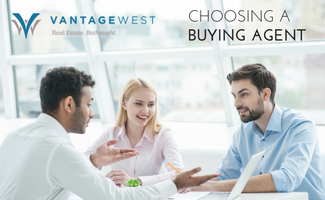 When selecting a real estate agent/team it is important to choose one that you feel with best meet your needs and provide a service that matches what you are looking for. Asking potential agents what they can offer, how they or their team operates, what kind of services they provide and what sets them apart or makes them different than the competition are good places to start. You will want to consider interviewing multiple agents to make sure you are getting an agent/team that best matches what you are looking for. How many real estate agents should I interview? You will want to interview at least three different agents or teams. Our Agents Are Our Difference. Local Expertise, Unsurpassed Service, & Real Market Experience. Meet Our Kelowna REALTORS® Now!